To enquire or order your dog, cat, horse or small domestic animal pet portrait from photo, image or picture, please contact the artist. approx. 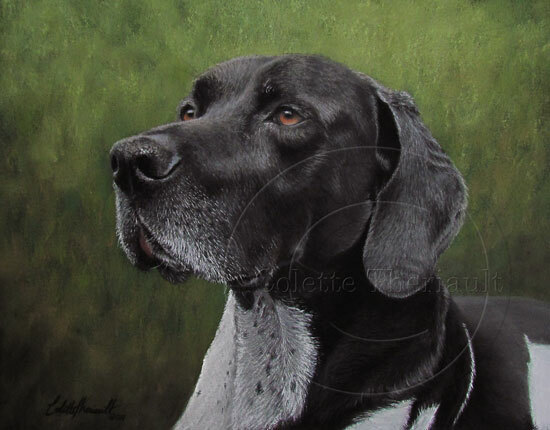 size: 10" x 8"
The coat color of the German short haired pointer can be liver or black with or without white markings. This portrait was commissioned as a Christmas gift from a client in NJ. USA.